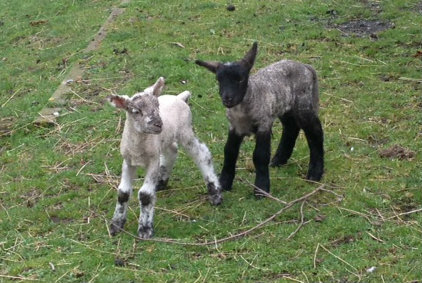 Our twin lambs, Joshua and Chocolate. My son named them – a girl and a boy – Chocolate and Joshua. The chocolate one is absolutely adorable, and both are feeding well. The twins with their mum. That’s Sonia the lamb in the background. 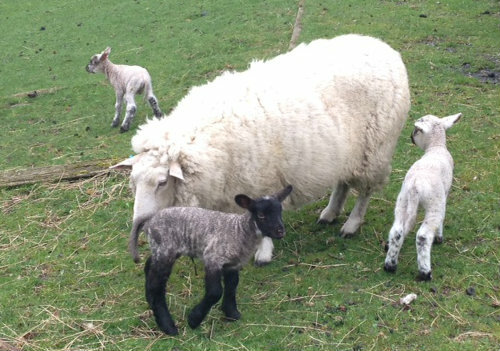 As usual, lambs come in a rush when they finally come! I think we’ll be expecting more very soon, then it’ll be all done, and then we sit and watch them double in size overnight.